With the PlayStation 4 Pro already taking a share of the 4K videogame market, Microsoft joins the fray with its own top of the line console. The Xbox One X aims at high-end gamers looking for the most immersive experience possible. Of course, an ISP with a copious amount of Internet speed and bandwidth is another important part of this equation. Microsoft’s new Xbox One X videogame system. Image copyright Microsoft. If you are interested in the new videogame box out of Redmond, read further for additional details and specifications. Is the Xbox One X the new king of the console world? Featuring a robust set of specifications, Microsoft claims the Xbox One X ranks as the preeminent videogame system on the market. An 8-core AMD processor running at 2.3 GHz is the heart of the new console. A 6 teraflop GPU and an impressive amount of video RAM – 12 GB – help the box deliver smooth graphic performance in 4K HDR. In short, if you are a gamer with a high-end 4K TV that supports HDR, the Xbox One X needs to be on your wish list, especially if already own earlier Xbox models. Ironically, Microsoft’s new videogame system is also its smallest to date. Advanced chip design and manufacturing techniques helped achieve this small footprint. Rounding out the technical specs is 8 GB of Flash memory as well as a 1 TB hard drive. A 4K UHD Blu-ray drive is included, along with an HDMI output and support for the most popular 5.1 audio formats. Most importantly for some, the Xbox One X is priced at $499; $100 more than Sony’s equivalent, the PlayStation 4 Pro. 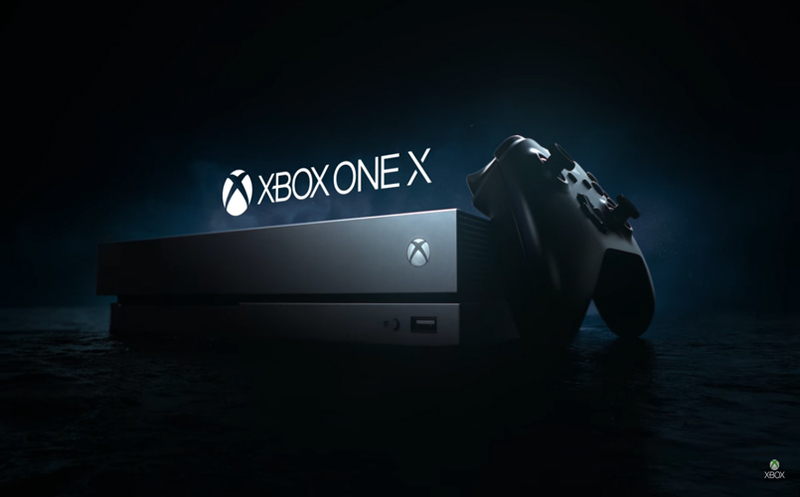 In addition to being a high-end videogame machine, the included Blu-ray drive and streaming capabilities make the Xbox One X the centerpiece to any home entertainment system. Remember, streaming 4K video requires a significantly higher amount of bandwidth compared to “plain old” HD. At least 20 Mbps of dedicated Internet speed is a must! Thankfully, the unit is backwards compatible with the original Xbox One as well as the Xbox One S. So if you already built a robust library of games, you are good to go with Microsoft’s latest. Early reviews highlight Forza Motorsport 7 and Gears of War 4 as the top games for the new system. Whether you think the Xbox One X is worth the extra $100 compared to the PlayStation 4 Pro depends on your preference for Microsoft or Sony. Both systems offer a state of the art videogame experience as well as being able to stream 4K HDR video. Run a fresh Internet speed test to ensure your bandwidth is up to snuff!